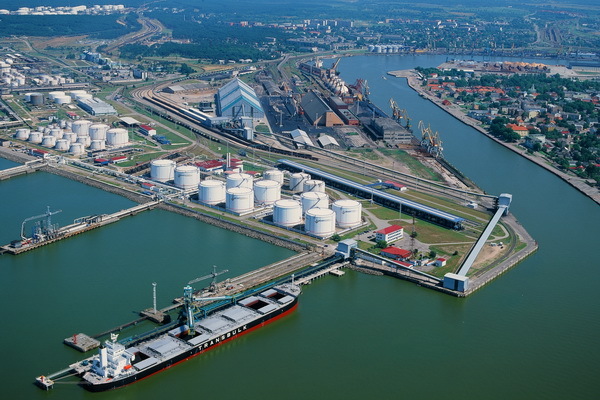 Mombasa Port will open new modern oil terminal at Dongo Kundu area early next year, replacing the current Kipevu Oil Terminal, reported Wilhelmsen Ships Service. The new facility is part from modernization and expansion program financed by the government of Kenya at total worth of 1.7 million USD. The new Dongo Kundu oil terminal will have capacity for berthing of 4 vessels with deadweight up to 200,000 DWT. The project also involves building of new cargo handling facilities with both, subsea and land based pipelines, as well as four berths capable of loading/discharging crude oil, HFO, DPK-aviation, AGO-Diesel and PMS-Petrol. The new terminal will also have a subsea pipeline corridor and associated number of pipelines to the four berths. The new jetty is expected to increase efficiency in delivery of imported refined fuel for Kenya’s domestic use and export to Uganda, Rwanda, Burundi and eastern Democratic Republic of Congo. Kenya government also plans to double capacity of fuel terminal in Nairobi, aiming to cater for the extra flow of petroleum products when a new pipeline linking the capital with Mombasa becomes operational in the end of this year. The port of Mombasa is one of Africa’s oldest surviving ports and can be traced back even before the arrival of the Portuguese explorers to a time when Arabian dhows called at the Old Port on the north side of Mombasa Island.